This year, Vespa celebrates its 70th anniversary. Vespa which is built by the Piaggio company was founded in 1884 by Rinaldo Piaggio. Piaggio was one of the best manufacturers of planes in Italy. It wasn’t until 1946 that Ronaldo’s son, Enrico asked his engineers to develop transportation for the impoverished masses, and that is when the Vespa scooter was born. Check out our short history of the cultural icon known as Vespa. Ride away on a piece of history today. 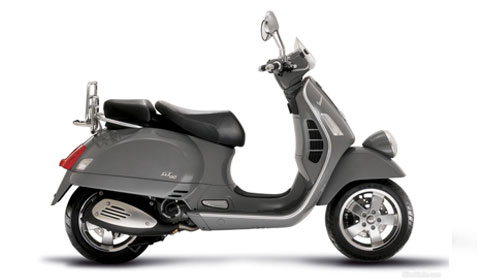 The special 70th-anniversary models feature pewter gray wheels, dark leather color seat, and a chromed rear luggage rack complete with a classic styled dark leather bag. The Piaggio Group wanted to make a tribute to the best-loved scooter of all times,so be sure to stop into Chesapeake Cycles to check out the 70th Anniversary series. To celebrate the company’s 60th anniversary, the Piaggio Group offered a unique limited edition series that offered both prestigious materials and an exclusive finish. The company only made 999 units, giving these a place in Vespa history. 50 years after the first Vespas had sold, Vespa introduced the first two-wheelers with two-stroke direct injections allowing the rider to reduce fuel consumption up to 30% and emissions up to 70%. Selling over 41,700 models, people waited months to be able to take one of these beauties home. In matching the success of the 180 model, the 200 had horizontal stickers attached to the front fender and cowls. The 200 also had an ignition switch at the top of the headset with a blank key. One of the most original designs from Vespa. Just like the Vespa GS 1955, the design has the spare wheel stored within the center of the footrest platform. This scooter is among the most sought after models and a real collector’s object. Designed to be airdropped into the battlefield and ready for immediate action! Outfitted with M20 recoilless rifle, the French Airborne Special Forces, the Troupes Aero Portees (TAP), made it capable of destroying fornications made by guerrillas in Algeria and Indochina. This original gem took two years in production. The Vespa 98, the very first Vespa, powered by a 98 cc engine, made its debut in April 1946, at Golf Club in Rome. As Vespa celebrates its 70th Anniversary we invite you to join in the fun! Be sure to stop into Chesapeake Cycles to check out all the great Vespas we have in stock.